John McCorkle was a young Missouri farmer of Southern sympathies. 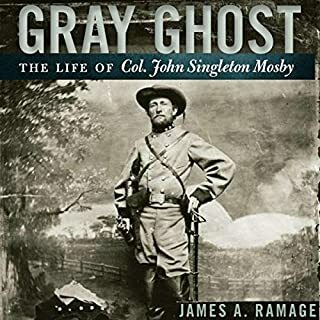 After serving briefly in the pro-Confederate Missouri State Guard, he became a prominent member of William Clarke Quantrill's infamous guerrillas, who took advantage of the turmoil in the Missouri-Kansas borderland to prey on pro-Union people. McCorkle displayed an unflinchingly violent nature while he participated in raids and engagements including the massacres at Lawrence and Baxter Springs, Kansas; and Centralia, Missouri. The Civil War is best remembered for the big battles and the legendary generals who fought on both sides, like Robert E. Lee facing off against Ulysses S. Grant in 1864. In kind, the Eastern theater has always drawn more interest and attention than the West. 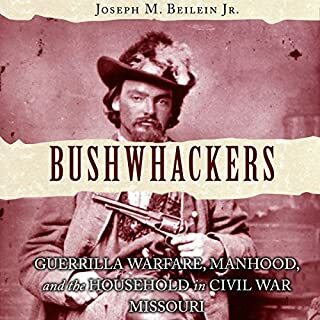 However, while massive armies marched around the country fighting each other, there were other small guerrilla groups that engaged in irregular warfare on the margins, and among these partisan bushwhackers, none is as infamous as William Quantrill and Quantrill's Raiders. 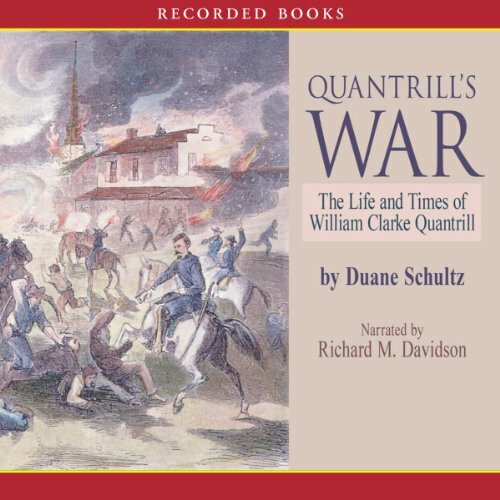 Award-winning novelist and historian Duane Schultz, dramatically recreates the treachery of Civil War "Colonel" William Clarke Quantrill's life and the riveting climax of his infamous raid on Lawrence, Kansas. From letters and diaries, Schultz skillfully weaves together this exciting, dark side of Quantrill - a man who was part warrior, part villain. At first, William Clarke Quantrill conveniently sided with whomever was the strongest at the time - abolitionists or slavery supporters - but eventually, he settled on backing the Confederacy. With his charismatic personality, he attracted a motley band of idealists and renegades for his guerilla army. Quantrill longed to be an officer, but when the Confederacy refused to commission him, because of his tactics of murdering for pleasure and looting for gain, he simply took the title of colonel and later, captain. 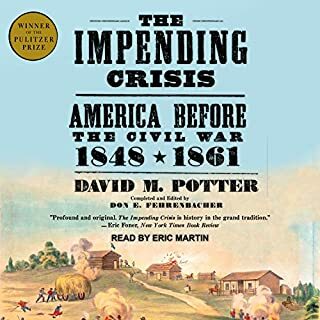 Narrator Richard M. Davidson takes the listener to the battlefields, bringing to life the people, sights, and sounds of the Civil War. The combination of Schultz's masterful descriptions and Davidson's sense of timing makes Quantrill's history as exciting as today's headlines. I liked this book, especially the narration. It was a good audio read. My only knock against it was the many chapters that really had nothing to do with Quantrill, just general history. Informative, but not completely relevant. 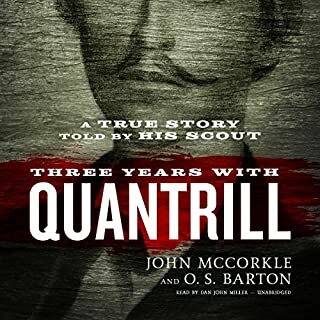 Overall, though, I was left with the feeling I knew more about the odd and terrifying man that was William Quantrill. I would recommend this book. 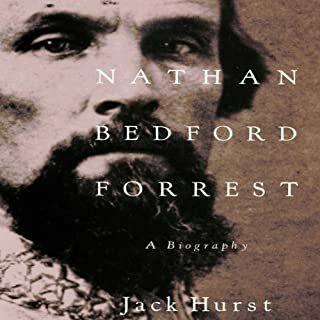 The fascinating and horrific accounts in and around the life of this man and those of his contemporaries are fascinating pieces of history every person with family roots in Kansas or Missouri should know about as well as any Civil War buff or criminologist should become familiar with. 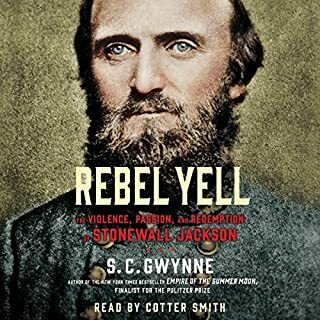 A history as told by an excellent narrator, and of course kudos to the author on a job very well done. All I can say s this was exciting and a wonderful listen. Highly recommended. Mr Schultz's examination of the Confederate guerrilla, Quantrill was enlightening if not overly entertaining. War (in particular, civil war) is a bloody and brutal thing. From the outset, Mr Schultz skewered Quantrill on essentially being nothing but an opportunist and bandit. He takes every effort to make this point throughout the book. Ironically, the brutality and atrocities committed by Quantrill (scalping, robbery, murder, etc.) were matched (if not learned from) stroke for stroke in the book by Union troops and sympathizers. The story was reasonable. The narration was good. Overall, a worthwhile story for those with an interest in the subject. Northern Civil War "buffs" and re-enactors that want to role-play a Northern POV concerning this subject for public amusement. What was most disappointing about Duane Schultz’s story? Book is written as a novel, no sources quoted at all. A Yankee point-of-view all the way. Example, if one were to ask Nazis what the truth is about Jews, you would get the same kind of response. Completely one-sided. I would believe it more if sources for whats presented were there.. Example, "At first, William Clarke Quantrill conveniently sided with whomever was the strongest at the time - abolitionists or slavery.." IF true, it would have been better if the author said something like, "At first, William Clarke Quantrill conveniently sided with whomever was the strongest at the time - abolitionists or slavery, or so (name of Raider) would later tell interested folks." or something like that. Even has him torturing animals as a child WITH NO SOURCES MENTIONED as having witnessed this. I got less a feeling of hearing History than I did opinion, roomer and a Novel. He did a great job conveying the author's intent. Was read as though he was disgusted in the subject. Really funny too. I got the vision of a girly-boy who was gossiping about roomers he'd heard on someone. The narrator was playing his part well! Eye-opening in that it shows how the North still thinks about the Civil War and Confederate figures. I am sure the actions described really happened but this PRETENDS to jump inside his head..
Got the book here with one of my credits, glad I didn't pay for it on top of membership.